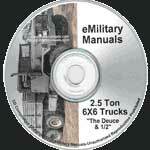 The M35 cargo truck is a 2.5 ton US military medium duty truckthat is road rated for 5 Tons. It is a multifuel rated truck. It is often referred to as the "deuce and a half truck".